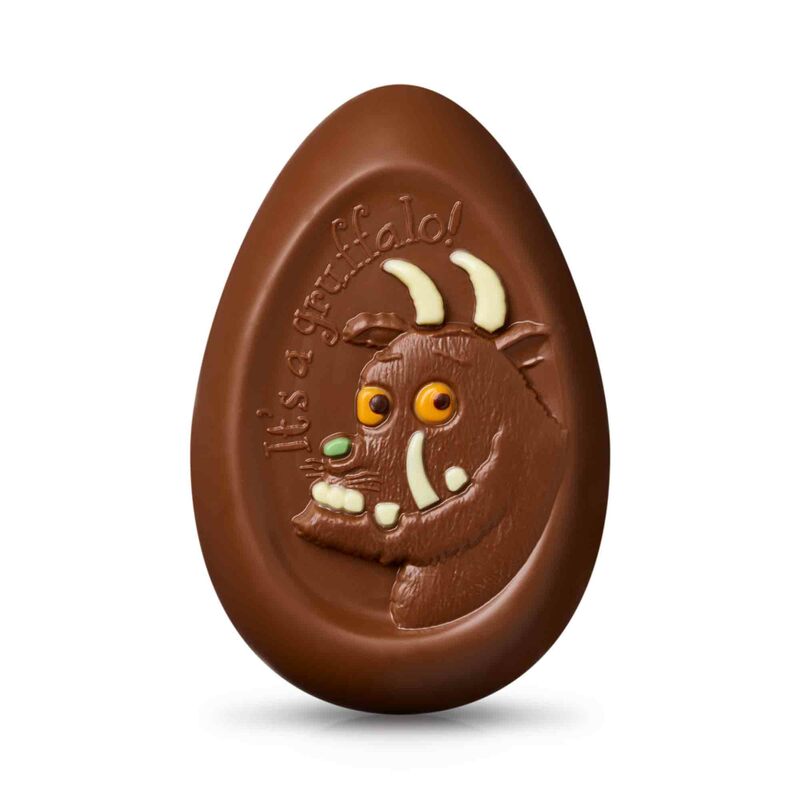 One for fans of the Gruffalo’s adventures, this milk chocolate monster is perfect for little hands to get feasting. Decorated with colourful icing, it’s sure to delight with its playful design. 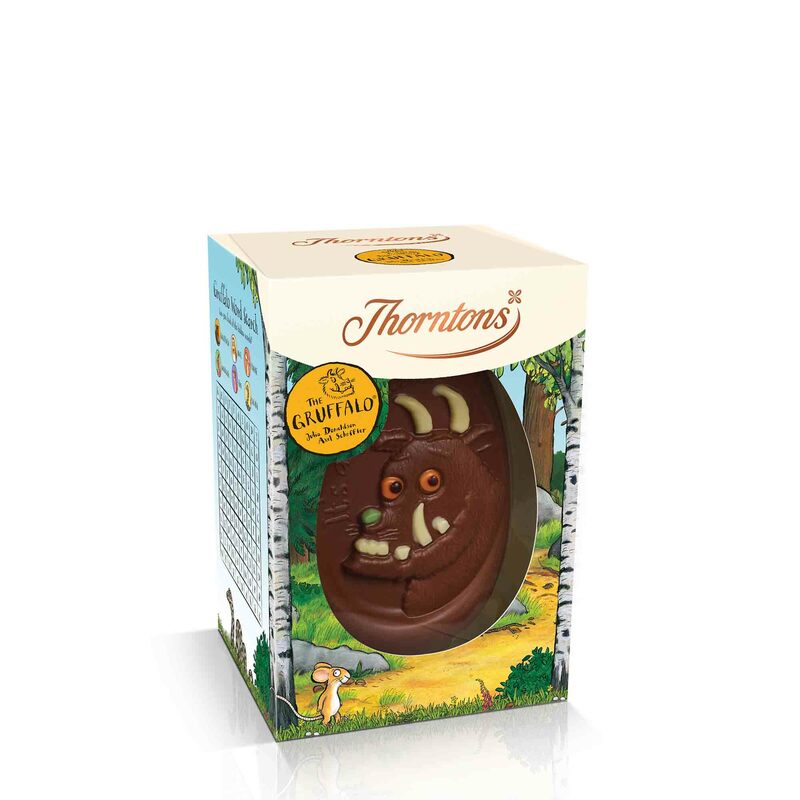 Sugar, dried whole MILK, cocoa butter, cocoa mass, MILK fat, emulsifier (SOYA lecithin), fruit and plant concentrates (apple, safflower, lemon, spirulina), invert sugar syrup, fat reduced cocoa powder, colour (paprika extract), flavouring.